Community Bariatrics Hamilton (Indiana Obesity Center & LapBand Indiana) is located inside the Community Healthcare Pavilion Hamilton. We are dedicated to innovative weight loss procedures such as the Lap Band System and Orbera Gastric Balloon. Our goal is to provide an interventional weight loss program for patients who need to lose 30 to 150 pounds. Our procedure focus on minimal impact to your body’s natural anatomy. 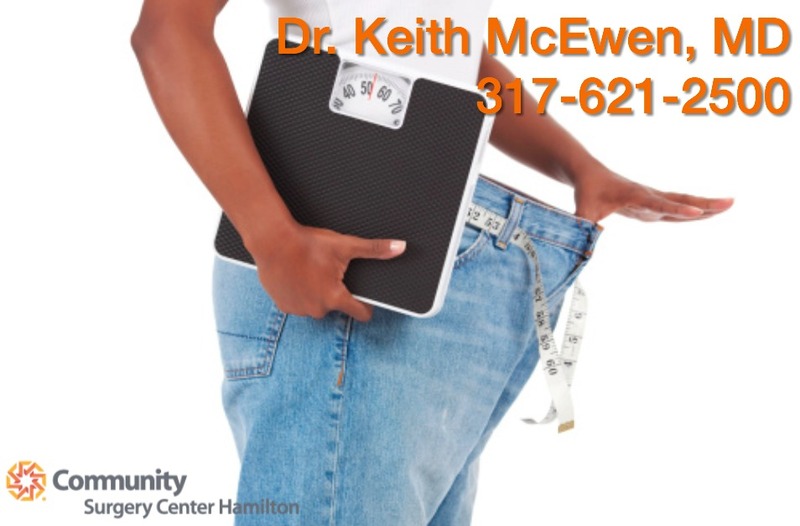 Dr Keith McEwen performs bariatric weight loss surgery in the Free Standing Ambulatory Center – Community Surgical Center- Hamilton (formerly known as Indiana Surgery Center Noblesville). Patients with certain insurance types or medical conditions requiring hospitalization will be scheduled at Community Surgery Center North Hospital. Our goal is to offer complete comprehesive weight loss with medical and surgical for those who are willing to make the investment in their health and well being. Weight loss and Bariatric Surgery are not magic, but partnering with an experienced, educated team can help you reach your goals to improve your health and quality of life.